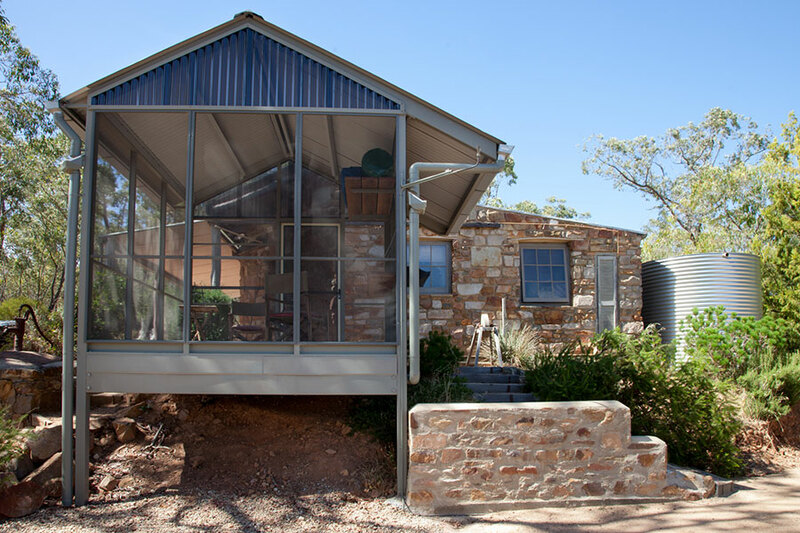 A romantic B&B perfectly designed for just the two of you, Trestrail Cottage is a gorgeous stone hideaway on 100 private acres of Clare Valley woodland. 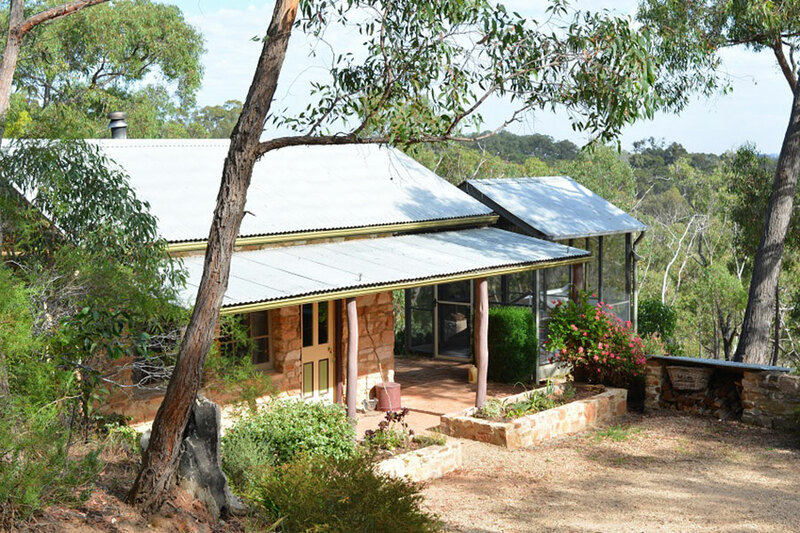 This bed and breakfast oozes serenity and romance nestled atop the spectacular hills of Sevenhill in the beautiful Clare Valley. Trestrail is unlike any accommodation you have come across; these experiences you won’t find anywhere else. We are excited to announce our new, feel-good features ready for you to discover at Trestrail. To all our guests who have visited over the years and who return to our gem, the familiar charm and character remains unchanged. In furthering the romance of place you will now find some rare treats at Trestrail cottage. 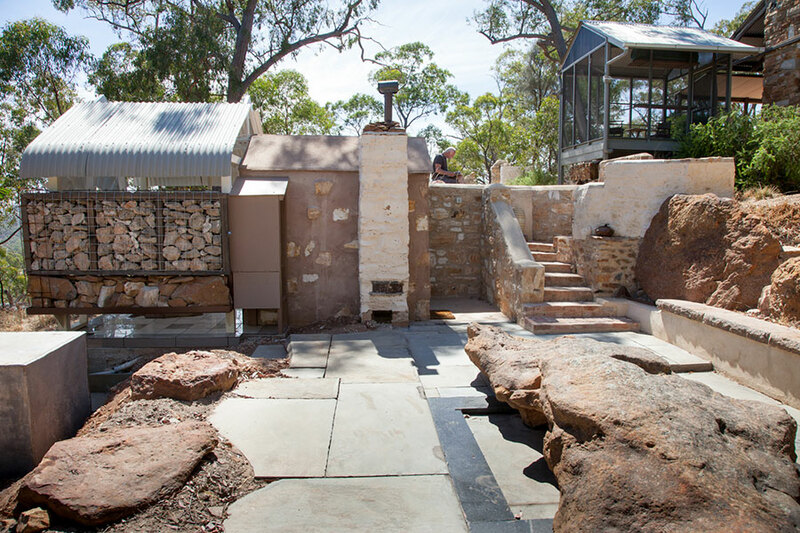 A woodstove hot rock sauna; cooling bush shower; bare earth bowling (like tennis on clay); a screened deck for Summer sleeping; a meditative rock room; BBQ and water feature have all been crafted with a unique Australian face. Set in Trestrail’s remnant and timeless landscape, this space allows for the body, the soul and the built to connect in play and repose. We do not have Wi -Fi or an i-phone doc because we challenge you to unplug. Unplug: to let go. From your usual daily routines of life; from the pressures of mainstream. Trestrail nourishes you and encourages you to dare to be bare. Reconnect to the earth through the simple and natural pleasures in our world that don’t require anything more than just being. 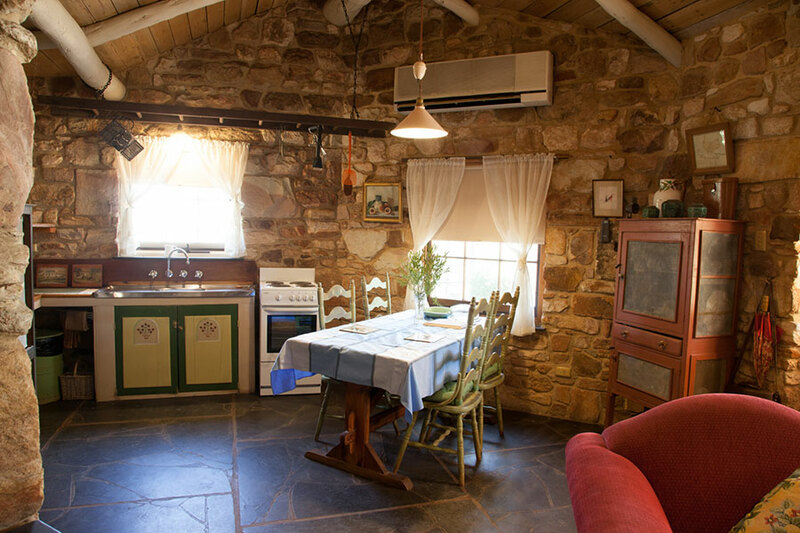 The cottage is self contained with full kitchen facilities including oven and microwave, bar fridge and pantry and laundry. So you can truly hunker down and hideaway if you like! 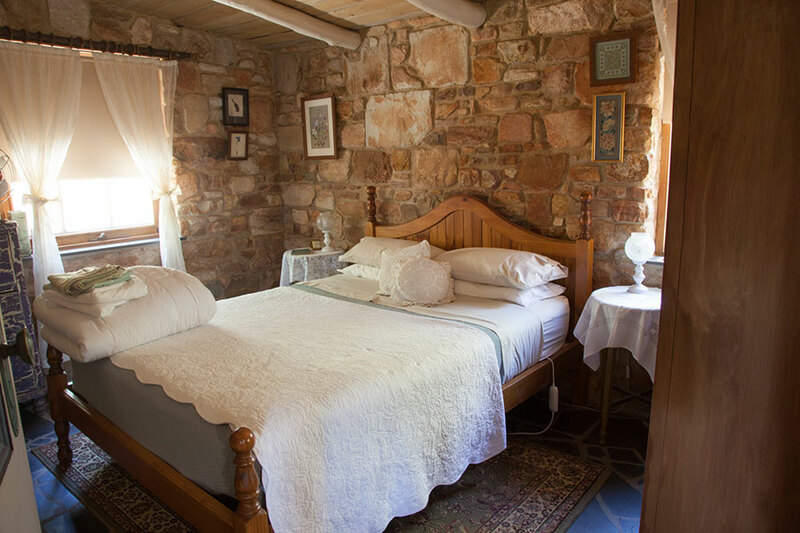 The cottage has antique pieces and quality early settler style finishes from the handmade rustic timber table, the claw foot bath, historic, classic and environmental themed library collection to the old mixing bowls, heritage weaving implements and the massive timber feature beam. Trestrail is not about architect candy. It’s not about bed and breakfast musak or prized awards. It’s about a long thought that won’t let go, getting back to it all through accents of the wild and embellished simplicity; just satisfying your soul.